Yulanda Scott is a Management Consultant with F&H Solutions Group. Yulanda brings more than 15 years of experience in human resources policy development and compliance, benefits design and implementation, recruiting strategies and placement, and corporate learning and development. Yulanda works with organizations to develop and meet current and long-term human resources objectives, with a focus on policy development and implementation. She develops and facilitates management training programs. She also designs and facilitates employee onboarding and manages full life-cycle recruitment, including employment background checks and drug and alcohol screenings. In addition, she administers clients’ I-9 collection and auditing process to ensure completion and compliance with all laws and regulations as well as develops standard operating procedures. 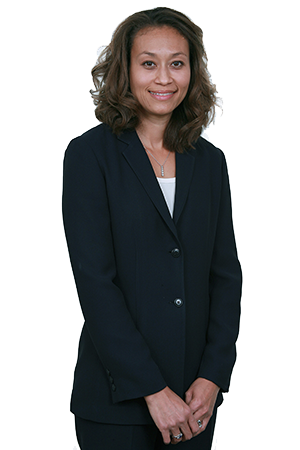 Throughout her years of consulting and employment, Yulanda has shaped, interpreted and administered corporate policies and procedures. She has conducted investigations of discrimination and harassment and then administered appropriate disciplinary actions. Moreover, she has provided leadership and coaching to management staff regarding career development and employee practices. In addition, she has administered employee benefits, including group health plans, life insurance, disability insurance, workers’ compensation, retirement programs, defined benefits pension plans, flexible spending accounts, the Family and Medical Leave Act (FMLA), the Americans with Disabilities Act (ADA) and the Consolidated Omnibus Budget Reconciliation Act (COBRA). Prior to joining F&H Solutions Group, Yulanda was a human resources manager with US Airways. She managed 8,000 contract and noncontract employees and provided recruitment and human resources leadership for 75 stations across the United States and Canada. She designed and delivered training and career development programs; investigated employee relations and labor relations issues and company policy infractions; conducted evaluations for new and existing noncontract jobs, as needed; and interpreted and administered the corporate policy manual and administrative employee policy guide. She joined and remains an active member of the Society for Human Resource Management (SHRM). Yulanda holds a master of business administration from Averett University.